I agree, it goes perfect with the E36 for some reason. They are going on today after work. I still can't believe I'll have a Techno with LTW wheels. Both found locally too! My coworker just happened to have 2 sets and let me have them for a good deal. So I lucked out, just like how I found the car locally. That's a perfect combo right there. I feel like that's the best of both worlds, seriously. I'll have to be honest though. I'm never getting rid of my E92, I love that thing to death, but I haven't even touched it this week. Can't put the keys to the E36 down! Congrats and welcome. The two gen difference in driving experience must be wild. Two sets? Are we talking replica? 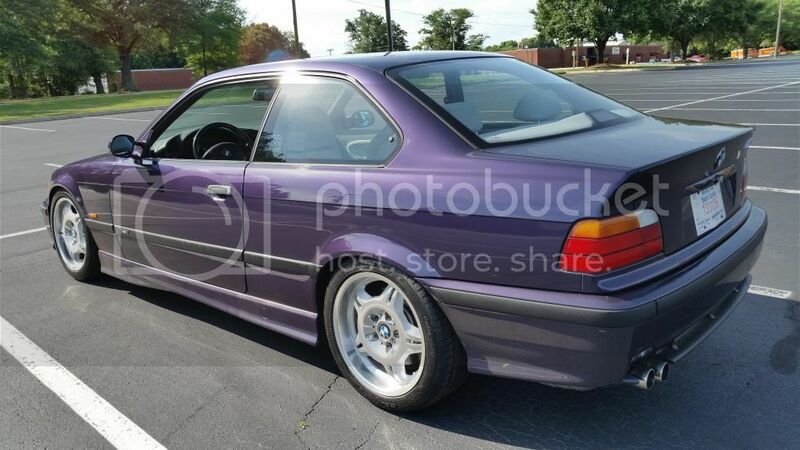 Car is looking great so far, I also have a 1997 TV.. love the color. Congrats on the new wheels by the way! No they are OEM. The guy has a mint AW/M Cloth coupe, and these were the set that came with his car. He's got another brand new set on his car now, so these were sold to me. They are in good shape, no curb rash or anything, but there's a few spots on the front wheels. But I'm happy how they look, just got them installed. Will wash the E36 and get my friend to do a photoshoot! But you are right, both so different. I love driving them just as much. The E92 has an engine to die for, and is just so confidence inspiring. The E36 is much more of a hooligan. I know it's so cliche to say that it's more raw, but it is. Oh and gets great gas mileage for what it is too! Last edited by W///; Wed, Jun-04-2014 at 10:41:13 PM. Good stuff man! You seem pretty excited about the car which is refreshing compared to some new buyers who just want a cheap BMW to beat on until they can afford to "upgrade". When you get the E36 to the track that's when the real fun will begin. I had a similar experience, started with an E60 M5 at the track but just too expensive and heavy for track abuse. 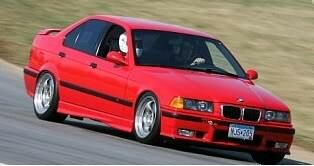 It was an awesome car with its insane 500+hp S85 motor, but I'm already 5-15 seconds faster per lap (depending on track) in my 270ish hp E36. OK can't resist posting a picture of the car as it sits right now. As you probably know, these cars are getting harder and harder to find in good condition! I always do this. Every time I get something new, I'll dive right into it haha. Your sedan looks amazing btw, the wheels suits the car perfectly. Very cool to hear. I have no doubt that I'd probably be faster in the E36, also I'm pretty new to this hobby. I can't wait to get it out to the track and see what it can do. I have a hard time choosing which I want to drive some days! All times are GMT. The time now is 10:36:19 PM.